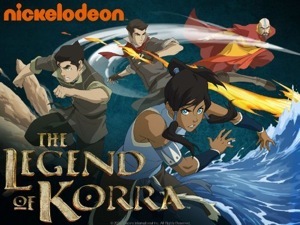 Nickelodeon changed American animation history when they brought to airwaves a “kid” cartoon with a continuous, dramatic plot with ever-changing characters and comedic hijinks, called Avatar: The Last Airbender Avatar was designed in a style inspired by Japanese anime and also borrowed elements from Asian cultures, such as martial arts and Buddhism principles. It proved that young and older audiences were hungry for intelligent, dynamic storytelling in animation from the wildfire reception that still has not burned out. 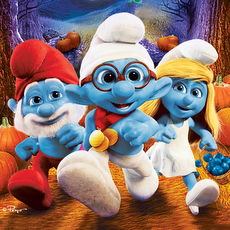 The series ended in 2008 and it left a gaping hole in fans’ hearts. Nickelodeon had created a very viable and profitable franchise, so why not capitalize on the Avatar name with a sequel? Earlier last year, Nickelodeon announced they had a sequel in the works when they released a few teaser images showing Korra, the next Avatar, in a city reminiscent of the early Industrial Revolution days. Nickelodeon kept the release date under wraps for a long, long time, much to fans’ annoyance. Finally, they set a date in stone when the first two episodes were leaked online, followed by an official video stream with a limited viewing opportunity. The Legend of Korra had a lot to live up to in the shadow of Aang, Katara, Zuko, Sokka, and Tophs’ adventure and it does well in setting itself up as an entirely different era, if not world, from Avatar’s early days. Korra picks up after Aang’s death—the former Avatar—and the White Lotus—a wise group dedicated to preserving the elemental balance and the Avatar—are searching for the next incarnate. From a young age in the Southern Water Tribe, Korra displayed an affinity for water, earth, and fire bending, but not air bending. All her life, the White Lotus and her teachers at the South Pole sheltered her. When it comes time for her to learn air bending from Tenzin, Aang’s son and the world’s only air bending master, he tells her she will have to wait a little bit longer as he must attend to some troubling matters in Republic City. Republic City was built by Fire Lord Zuko and Aang on the founding belief that all elements and nations could live in harmony and it has since blossomed in a burgeoning metropolis. What does Korra do? She stowaways on a ship and heads to the city with her polar bear dog Naga. Upon her arrival, she learns about a new movement led by Amon and his band of Equalists driven to end all forms of bending. She also learns city life is different from the South Pole—the use money and have a police force headed by Lin Beifong, Toph’s daughter, who doesn’t like Korra’s presence in “her” city. Tenzin and Korra argue over her remaining in Republic City and about her air bending lessons. Tenzin eventually does realize the value of having the Avatar in the city, but more problems arise when training begins. Korra doesn’t have the knack for air as she does the other elements. It’s only through competitive pro-bending sports (martial arts/boxing matches with bending skills) can she concentrate and absorb her lessons. She and Tenzin understand each other as much as any adult and teenager can, but they are willing to work at their relationship as they learn patience and other life lessons. The Legend of Korra has set itself up for a strong, compelling series that may prove to be a worthy successor to The Last Airbender Nick didn’t reuse the same character molds as the first series, instead they have recast brand new people to populate the sequel. Korra is brave and confident in her Avatar role, but she is still learning how to live up to Aang’s legacy while forging her own path. She can be impatient and charge headfirst into battle without planning, but that is how she learns the most. Mako and Bolin, her pro-bending teammates, are brothers and will be integral to Korra’s understanding of Republic City; plus there is potential for a love triangle. Mako is a firebender with a brooding personality akin to Zuko, though he his more lighthearted and doesn’t have an empire on his shoulders. Bolin is an earthbender and the apparent jokester, a role previously held by Sokka. Bolin is more naïve and happy-go-lucky with the world, being the younger brother, but he has a kind heart. Tenzin is serious and the exact opposite of his playful father. As the only air bending master in the world, he bears loads of responsibilities, while parenting three young air bending children at the same time with a fourth on the way. Despite his seriousness, he is not unbending (haha!) and can see reason. Tenzin doesn’t like his authority to be undermined and he can be hotheaded. His eldest daughter Jinora is him in female form, his daughter Ikki is interested in a fun, and his only son Meelo is hyperactive. 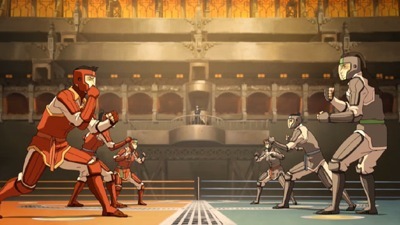 The Legend of Korra has already developed identifiable characters. We don’t know much about the villain Amon, but he has been setup as a really big evil-doer with a secret. I’m guessing it connects with the previous Avatar incarnate or Firelord Zuko or Mako and Nolins’ pasts. Not much has been revealed about what happened to The Last Airbender characters, other than they had children and founded a virtual utopia for a few generations. Katara is still alive and was one of Korra’s mentors. 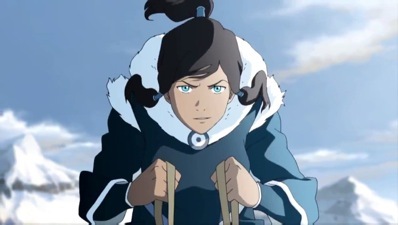 The writers actually acknowledge the fans’ questioning, when Jinora asks her grandmother about what happened to Zuko’s mother, an open-ended plotline, but it was quickly interrupted by Meelo and his joy for snow. Hopefully answers will be revealed as the series continues, though we don’t want the The Last Airbender characters to overtake the new series, simply brief glances or flashbacks will suffice. 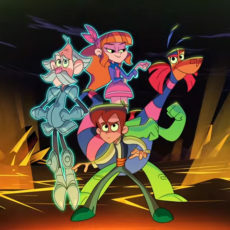 Nickelodeon has another great series on their hands that proves animation can be a serious vehicle, yadda yadda. I’m sure you know Avatar’s impact by now, but what matters to the fans is how The Legend of Korra is very well-written, and has the same creative team as the original. It can only be successful if they follow the same methods as the first series, while leaving room for the characters to grow and come into their own.